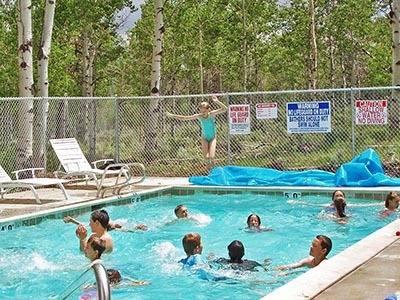 All swimming pools are open from 9:00 a.m. to 9:00 p.m. Their temperature is kept around 84°F and are cleaned every day. Swimming times are now scheduled for each group, and time slots may include sharing with other groups. Guests should only use the pool assigned to them which is usually the one for the lodge or area they are staying in (no pool hopping allowed). We ask that you follow the rules posted on each gate as you enter the pool areas. There are no lifeguards on duty.